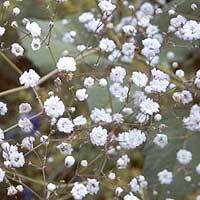 Cultivation tips: Preferring full sun and a sandy well drained soil Gypsophila will tolerate extreme cold but requires a relatively sheltered position away from strong winds. Water regularly during summer. Cut back to ground in autumn and mulch every 2-3 years.